We don’t hear much on the Android Tablet front because the market has stopped making premium models. On one hand the smartphone market is making a killing and 2018 was reported as the best year for cellphone makers and on the other hand, the tablet shelves only had some subpar and below average models with unknown names and shady manufacturing. 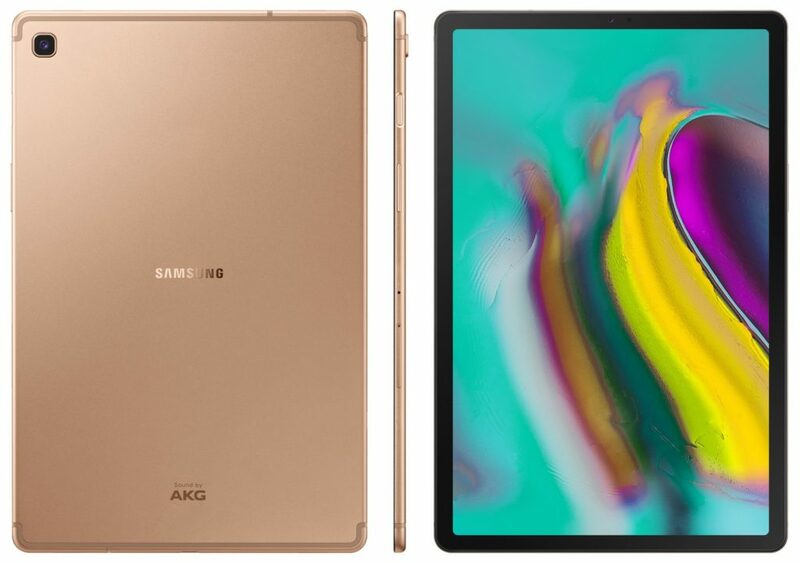 In the midst of this neglect, it was a welcome change to come across a mighty brand like Samsung to release a tablet worthy of buying. The new Tab S is only 5.5 mm thick, yeah wrap your brain around that first. It has a 10.5” Super AMOLED screen with the pixel resolution of 1600 x 2560. The aspect ratio is 16:10 and 288 ppi density makes the colors pop like crazy. Android pie 9.0 with One UI on top, powered by Qualcomm SDM670 Snapdragon 670 (10nm) Chip. Adreno 616 as a GPU and 4/6 GB RAM options make it a zippy little machine. The hard drive is 128 GB and has the option of expanding the storage with micro SD up to 512 GB simply makes life a lot easier and future proof it for those who simply consume media on their devices. 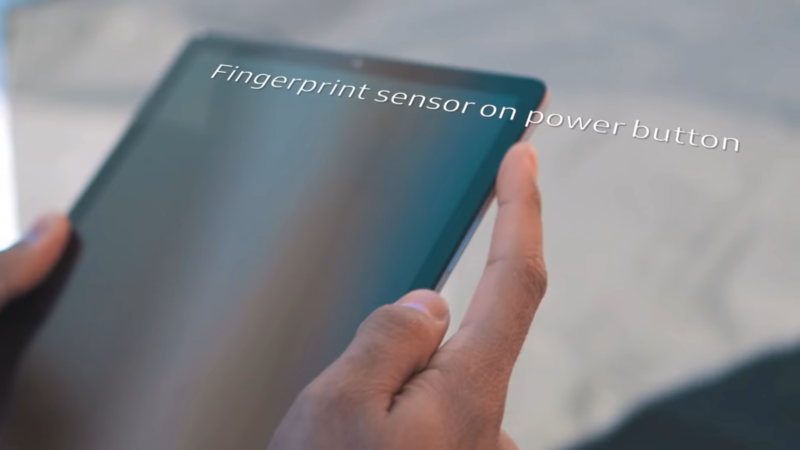 There is also a fingerprint sensor on power button and I for one, love the fact that the industry has not given up on the most efficient and functional locking mechanism. The tablet also has a nano-SIM slot if you want to turn this into a true out and about machine. Cameras, although not many use them on a tablet, are 13 MP back and 8 MP front, both f./ 2.0 aperture. There is also a Face recognition system to unlock the device, seems to be getting popular these days. There is also Samsung’s very own voice assistant Bixby which is somewhat of an annoyance but it is here in case you like using these features. and the point of it all is, that there is so much packed in to this thin and light device (400 g) that you simply have all the options, if you choose to use them, that is up to you. The tablet has a Quad speaker system tuned by AKG/HARMAN and Dolby Atoms sound. Bluetooth 5.0 is always a nice thing to have these given so many wonderful wireless headphones and earphones options. USB 3.1, Type-C 1.0 with a magnetic connector makes this slate a future-ready device. Fast charging with and 7040 mAh battery means you can keep it going forever. Available in Black, Gold and Silver color options, make this a versatile and a wonderful tablet option for anyone really. The company is claiming a 14.5 hours of on screen time which I believe won’t be with full screen brightness but still, that is one hell of a claim which has to be tested as soon as we get our hands on a review unit. Now I know a lot of people still debate as in who is better, iPad or Tab S and I simply this to them, it’s boring to debate that now. If you can find a good device in your OS then consider yourself lucky and enjoy. 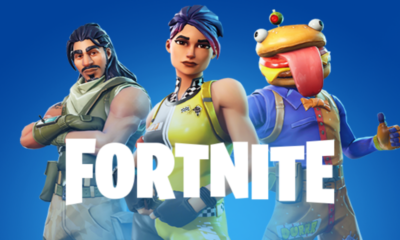 Don’t forget to check Samsung Unpacked Event February 20, 2019.